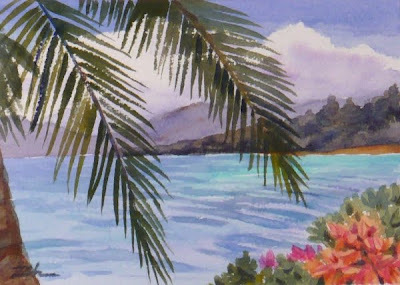 Palms and tropical flowers frame this scene of a cove in Hawaii's Coconut Island. The water is a clear turquoise in the shallows near a beach on the farther shore. Mountains rise in the distance. It's a lovely little bit of paradise!